If desired, substitute sweet paprika for smoked. 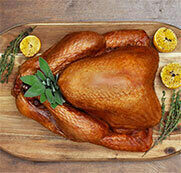 A rub made with French’s Dijon Mustard, butter and spices make for a delicious, crispy skin on your turkey! Toss sausage mixture with cubed bread and olives. Drizzle with broth and vinegar. Preheat oven to 350°F (180°C). Pat turkey dry inside and out; remove giblets and discard. 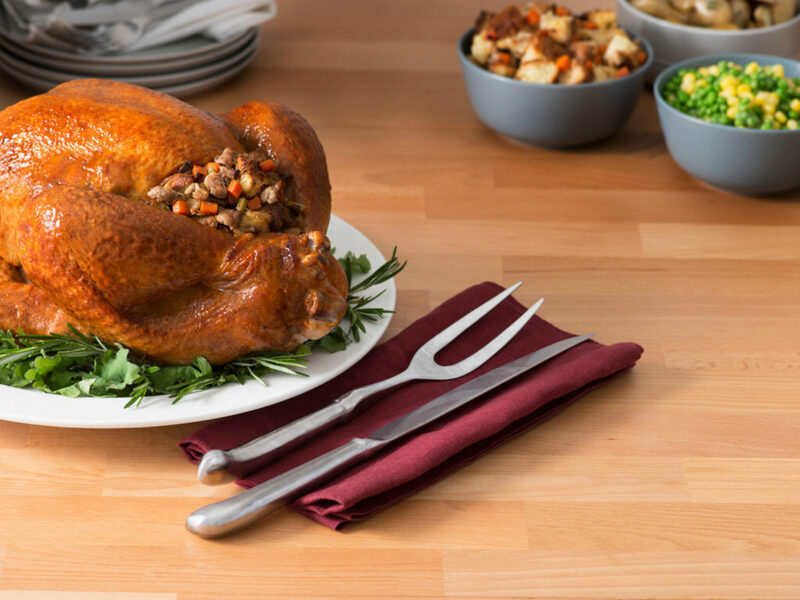 Place Turkey Chorizo Stuffing* loosely in both turkey cavities; skewer cavities closed. Tie legs together and tuck wings under back. Place turkey, breast side up, on rack in roasting pan. Mix together Mustard, melted butter, lemon juice, garlic, smoked paprika, cumin, salt and pepper; rub all over turkey. Pour 2 cups (500 mL) water into roasting pan. Tent with foil. Roast for 3 1/2 hours, basting once with pan juices every hour. Uncover and roast for about 30 minutes or until skin is crisp and thermometer inserted into thigh registers 180°F (82°C) and juices run clear. Let stand for 20 minutes before carving. Note: When roasting, any stuffing placed in the cavity of the turkey should reach an internal temperature of at least 165°F (74°C).